The 2018 Dodge Grand Caravan is the ultimate minivan to accompany big families on big adventures. 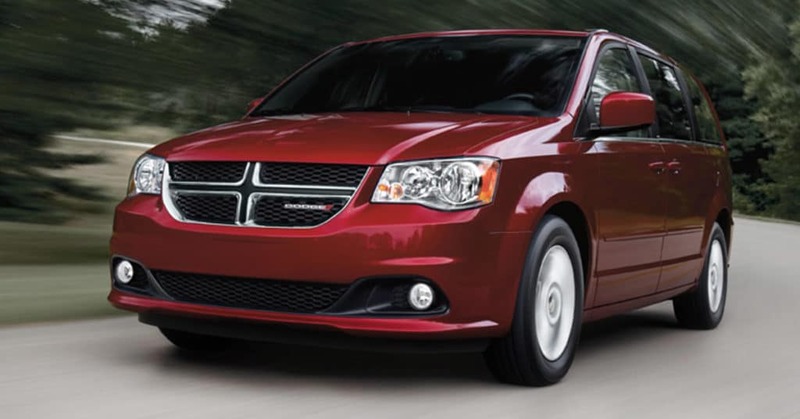 Two different trim levels (SE and SXT) make it easy to find the ideal Dodge Grand Caravan for you. The Grand Caravan comes standard with a 3.6-liter V6 engine that delivers a powerful 283 horsepower and 260 lb-ft of torque. This pairs with a six-speed automatic transmission to yield superior performance in a variety of road conditions. Front-wheel drive enhances traction. If you need to bring along any cargo, you can do so with a maximum towing capacity of up to 1,500 pounds. Trailer Sway Control technology will help keep the trailer stable and secure despite bumps along the route. The Grand Caravan is versatile enough to fit both passengers and cargo. It can accommodate up to seven passengers, with split-folding seats that open you up to plenty of cargo space. Even with all passengers aboard, the Grand Caravan can fit up to 33 cubic feet of cargo behind the third row of seats. Thanks to the available Super Stow “n Go® feature, simply collapse the second- and third-row seats to access more than 140 cubic feet of space. The standard observation mirror allows front seat passengers to keep an eye on child passengers during family road trips. The Grand Caravan works hard to help everyone feel safe with standard features like child protection rear door locks. ParkView® Rear Back Up Camera extends the driver’s line of vision to keep passengers safe while backing up the vehicle. All-Speed Traction Control helps you maintain traction on slippery roads. Electronic Stability Control distributes brake pressure to the tires that need more traction, to improve the van’s grip and balance on challenging terrain and slick paths. Stop by Westpointe Chrysler Dodge Jeep® Ram to test drive this amiable family-hauler for yourself.